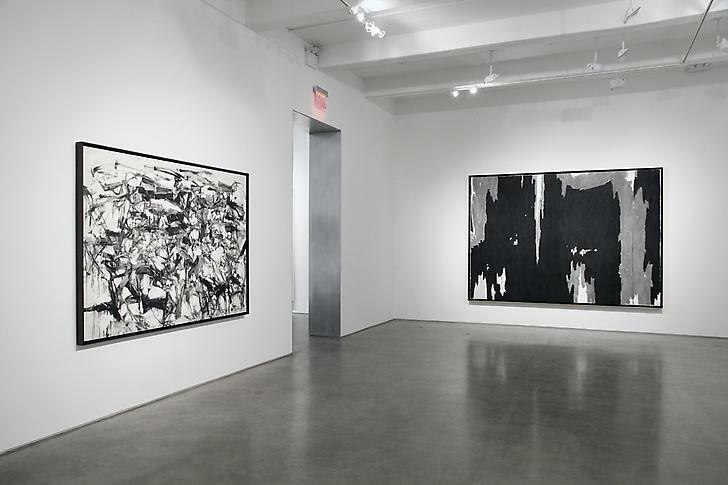 On view concurrently at Petzel Gallery and Metro Pictures in New York are two exhibitions of works by Brooklyn native painter and sculptor Robert Longo. 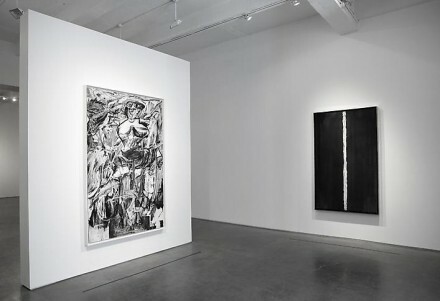 Gang of Cosmos at Metro Pictures is composed of twelve charcoal drawings of well-known Abstract Expressionist paintings, while Strike the Sun at Petzel Gallery focuses on images of patriotism in America, specifically the U.S. Capitol and the American flag as symbols of both nationalism and protest. Longo has been a major figure in New York’s cultural scene for more than 30 years. Born in 1953 in Brooklyn and raised in Long Island, he has long been interested in mass media, such as TV, movies, magazines and comic books, which continue to influence his artwork. Although he studied sculpture and continues working within the medium, his main focus and favored form of expression remains painting. 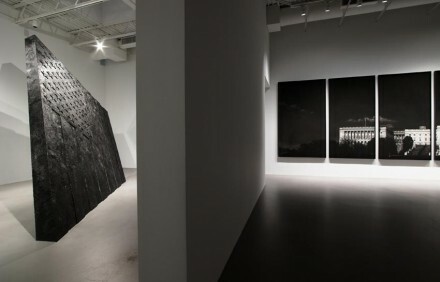 His sculptural practice has influenced his paintings highly, however – as his portraits hold an obvious three-dimensional quality, with “chiseled” lines and the use of graphite in a way similar to a sculptor molding clay. 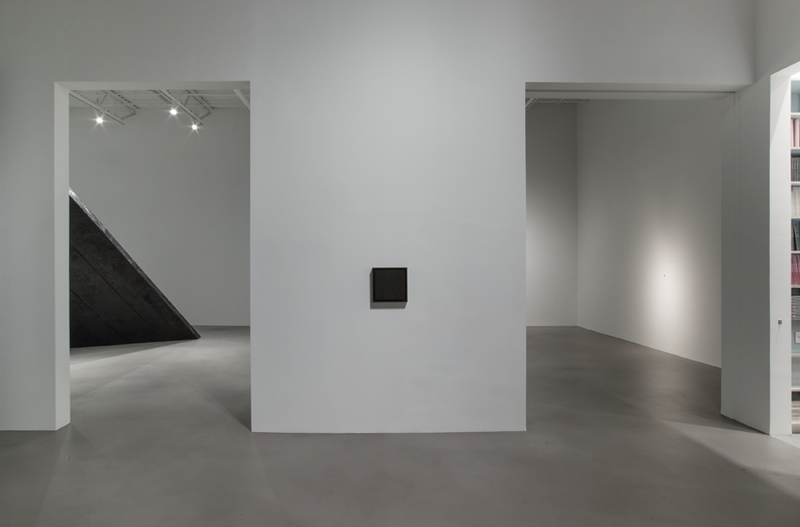 The works in Gang of Cosmos at Metro Pictures reflect Longo’s reverence for Abstract Expressionism and its continued importance in American art, as well as its influence on his own personal development. Longo has studied paintings thoroughly, first visiting museum collections and then working from digitally manipulated photographs in order to represent the three-dimensional detail of the paint and translate that into his own black and white drawings of the same images. The source of the works are immediately recognizable (including representations of paintings by Willem de Kooning, Helen Frankenthaler, Lee Krasner, Joan Mitchell, Robert Motherwell, Barnett Newman, Jackson Pollock, Mark Rothko, and Clyfford Still, among others), but Longo has made the details of the complex surfaces much more obvious, as a result of his substitution of charcoal for color paint. Longo also draws attention to the historical and cultural significance of the paintings from this time period – the years following World War II – and highlights the shift of power from Europe to the United States at that time as differing from that of the current political status of the two continents. 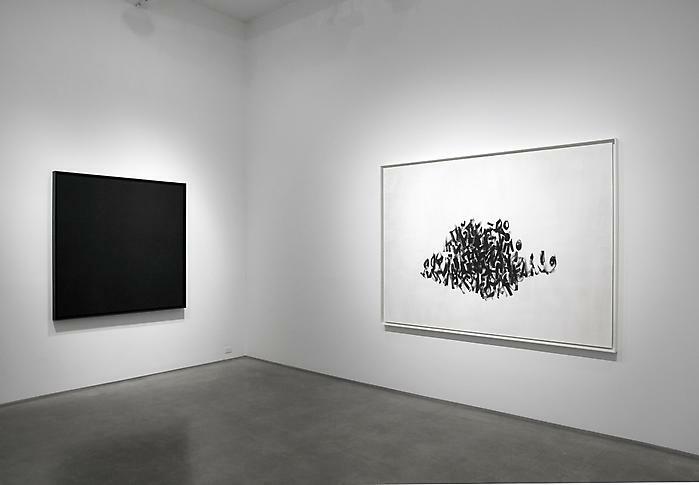 The concurrent exhibition at Petzel Gallery furthers this political statement. Entitled Strike the Sun, the exhibition focus on the American flag and the Capitol building as polarizing national symbols. 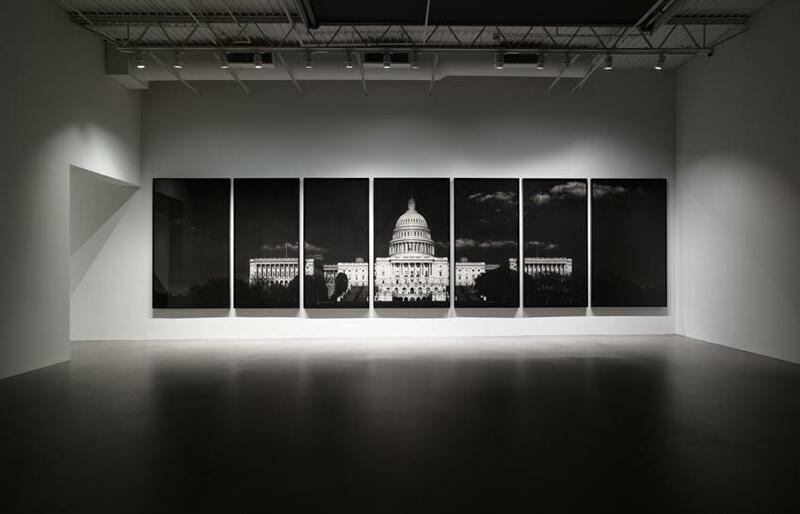 Also entirely in black-and-white, the works drain all saturation from these images of America and emphasize its intense contrasts. 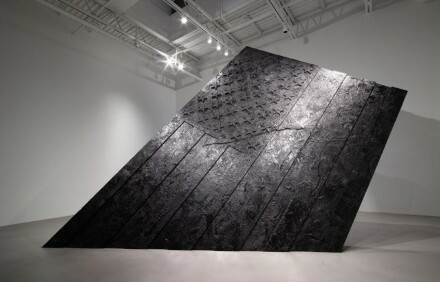 The 17-foot sculpture of a seemingly collapsing American flag, entirely coated in black wax, is leaning alone in one room of the gallery, while a photograph of the empty saddle of the riderless horse that led JFK’s funeral procession hangs alone in an adjacent room. 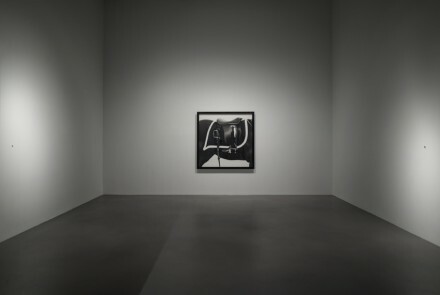 Robert Longo will be honored by The Kitchen in May, and his work has been featured in solo exhibitions at the Musée d’Art moderne et d’art contemporain, Nice; Krefelder Kunstmuseum, Krefeld, Germany; the Albertina, Vienna; Isetan Museum of Art, Tokyo; the Deichtorhallen, Hamburg; Los Angeles County Museum of Art; Museum of Contemporary Art Chicago; and the Menil Collection in Houston. 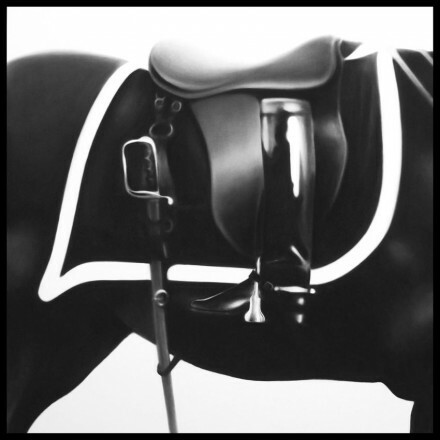 He has Participated in documenta, the Whitney Biennial, and the Venice Biennale. “Strike the Sun” at Petzel Gallery will continue through May 10, 2014, and “Gang of Cosmos” at Metro Pictures will run through May 23, 2014. 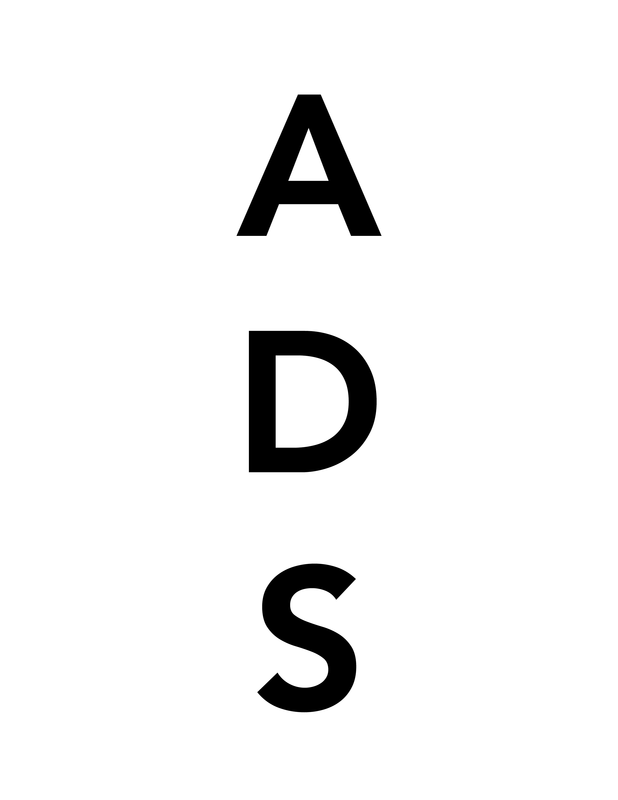 This entry was posted on Saturday, May 10th, 2014 at 1:28 pm	and is filed under Art News. You can follow any responses to this entry through the RSS 2.0 feed. You can leave a response, or trackback from your own site.